Synopsis: The TARDIS lands in London. Barbara and Ian are excited to be home, but The Doctor is hesitant, he doesn’t think they’re in the 1960s. Instead they find themselves in the year 2164 and the Daleks have taken over. This is the episode everyone had been waiting for, the return of the Daleks, but it’s kind of horrible. You have an Earth conquered by the Daleks, a Doctor Strangelove-esque scientist who creates a grenade to kill Daleks, which doesn’t seem to work, brainwashed humans under the control of Daleks, and so many ridiculous ideas. This story is also a proof of how slowly a Doctor Who serial can move. This six episode story is painful to watch, especially the moments where Daleks are talking amongst themselves. I think that two Daleks conversing might be the worst means to provide motion for a story, it seems to come to a complete stop when they talk. We seem to get introduced to a monster at the end of the fourth episode which serves no purpose other than a cliff hanger. The monster appears for a few minutes for suspense, and then is killed by Ian. 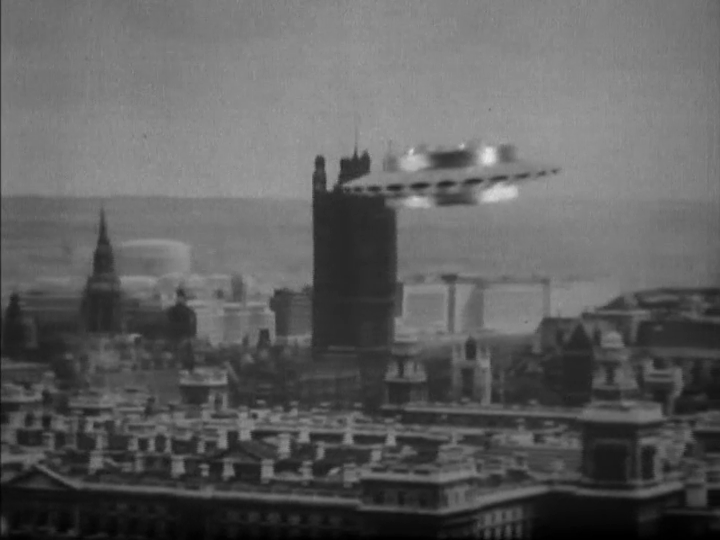 The third episode features a long scene of dramatic film inserts of Barbara, Dr. Strangelove, and a rebel woman running through the abandoned streets of London, and shots of Daleks patrolling those streets. It’s all set to a soundtrack of percussive music that makes me want to kill myself. Amongst all this is a love story between the rebel David and Susan. Susan seems to like him, but he seems indifferent to Susan. They talk about rebuilding Earth together after they defeat the Daleks. They have romantic walks in the sewers of London. They abandon an unconscious Doctor and go for a stroll. It’s really quite pukey. This is the first time a companion leaves Doctor Who, but also the first time the companion is abandoned by The Doctor, a theme that would recur. From Sarah Jane Smith to Jamie McCrimmon to Donna Noble. It’s hard to believe that The Doctor would leave his granddaughter and travelling companion to try to survive on her own in a post-apocalyptic world. Dr. Constantine: Before this war began I was a father and a grandfather. Now I am neither. But still a doctor.